Yes – I know! I’t getting old with all these Quiches – but I seriously love Quiche. And as of right now, I will honestly tell you, this is not the last one. It’s the second last one.. And you just start getting exited for the next one already – cause it’s a vegetarian one! I really like Tortillas. I don’t know what that means to you – but in Denmark “Tortillas” (pronounced with hard “L’s”) is a Tortilla Pancake filled with taco-seasoned ground beef, salad, salsa, dressing, guacamole and shredded mozzarella. Yes, it is very similar to the filling of a Taco shell. That is the kind of Tortilla that has won the hearts here in Denmark for sure. I’ll do a recipe for you some time, cause they are so good! But for now I’m still doing my Quiche-mania so it’s on to a Tortilla style Quiche. 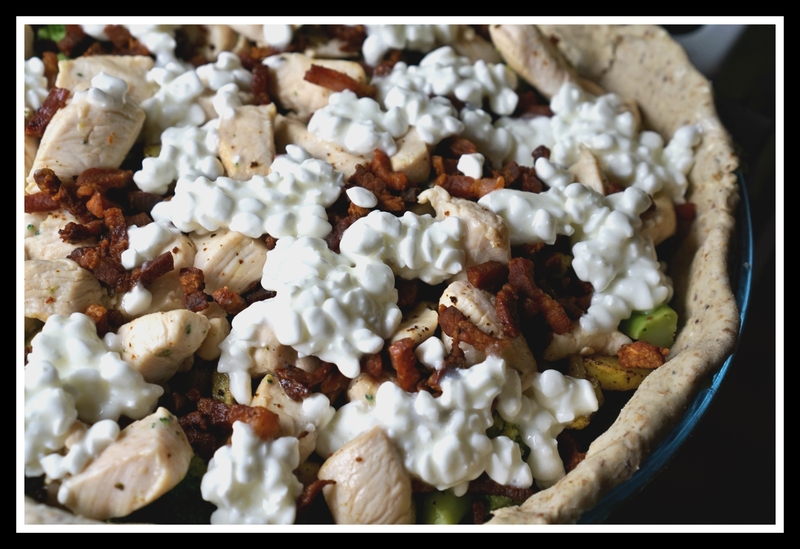 But to make everyone associate with the right filling, I present: The Taco Quiche! The Taco Quiche is impossible to find online, but it’s not super common. For my recipe I will brag and say I found no inspiration online – I made this one all in my own head. So that makes me particularly proud. I like Quiche! You know I like Meatballs – you know I like Smoothies – but one thing your’e about to know is that I like Quiche! At this moment I have 5 different Quiches prepared for my blog! So yeah! This is the beginning of yet another adventure in numbers! And I hope you will read this with the same enthusiasm as I am writing it! The beginning of this adventure is cheap and simple. I made 5 different quiches one day, you know, your average procrastination, right? A lot of the quiches were rather expensive and experimental or just decadent and delicious. But this one – it is as down to earth as an average man from West-Jutland – and that is very down to earth, I will have you know! 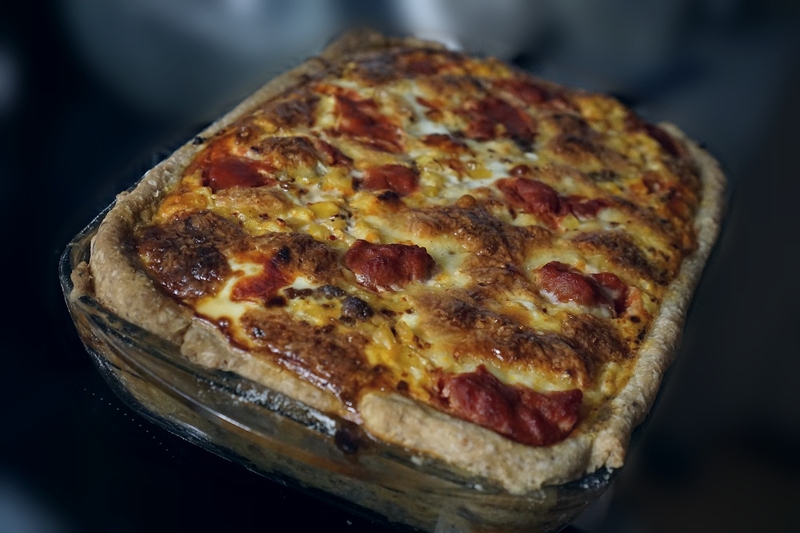 Now the recipe is for a small baking dish and not a traditional quiche-dish, so it will be necessary to adjust this for your own preferred quiche-baking equipment. Find the recipe you need.. I'm Malene! I am a passionate newbie in the kitchen, and this blog is my culinary journey. I am 25 years old and I have been cooking for about 5 minutes now! But I love food. I love trying new foods! I love cooking! I am from Denmark! I mostly do savory dishes! I am a vegan and my new recipes reflect that, but I also have a bunch of non-vegan recipes that are great and you should check that out. BIRTHDAY SPECIAL! Repost: Danish classics: Swedish sausage dish! A Family Recipe! Meatball № 3 - Greek Style! Brownies! Testing recipes part one! 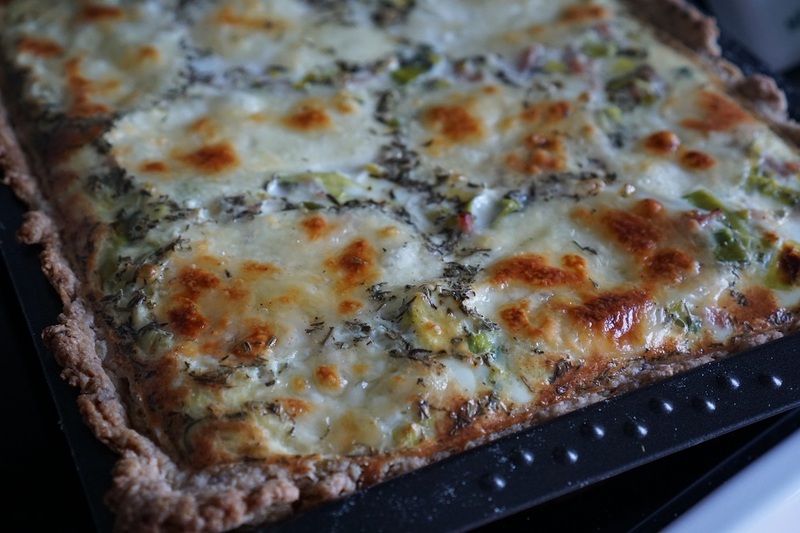 foodyfrauke on Quiche no 6: Veggies!